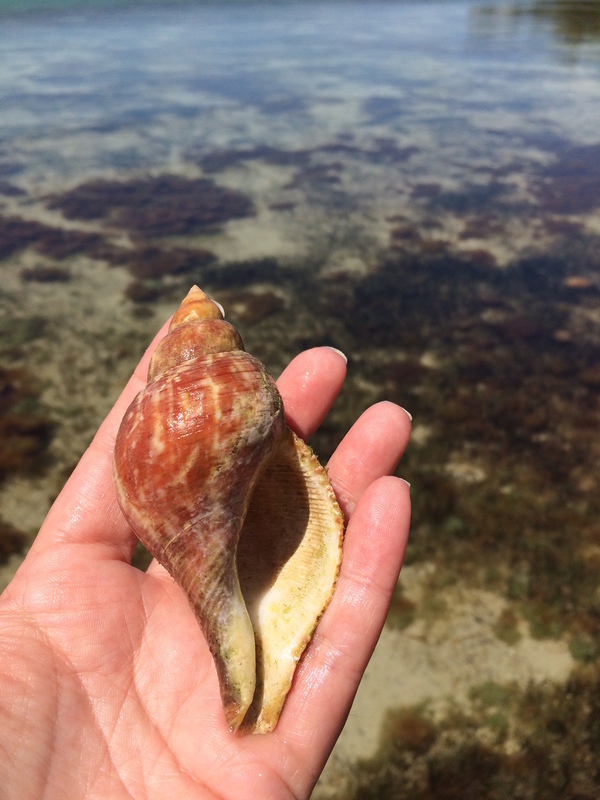 A blog for lovers of seashells, salt air and sandy feet. Big true tulip found in Tavernier. I took a drive to the Keys to get my feet-in-the-water fix and I’m so glad I did. While wading in the very shallow water at the Wild Bird Center, I found this beauty. It’s the largest one I’ve ever found in the Keys. 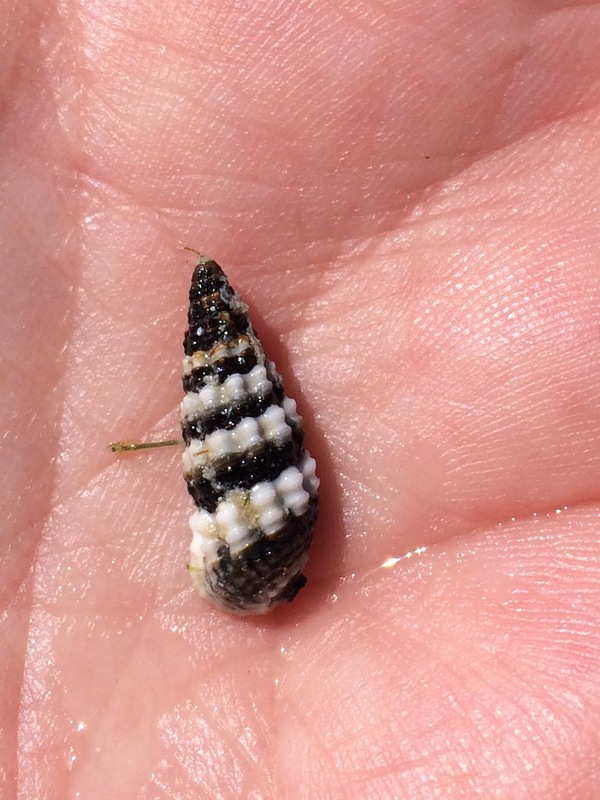 There were plenty of mini shells like the one below right next to shore, too. Love the black and white coloring! Black and white auger from the Florida Keys. I haven’t seen a black and white auger, but it sure looks like an auger to me. It had a tiny crab in it so back in the water it went. Speaking of crabs, after wading, I drove home and when I went looking for my tulip shell in my backseat, it wasn’t there. Say what? Then I spied it, under my seat. It had crawled away! Yep, there was a stinkin’ hermit crab hiding REALLY GOOD in that big tulip. Since I wasn’t near the beach, I ran him to my saltwater fish tank. Looks like we have a new family member. We named him Crazy Joe, from the character in the kids’ movie, Shark Tale. 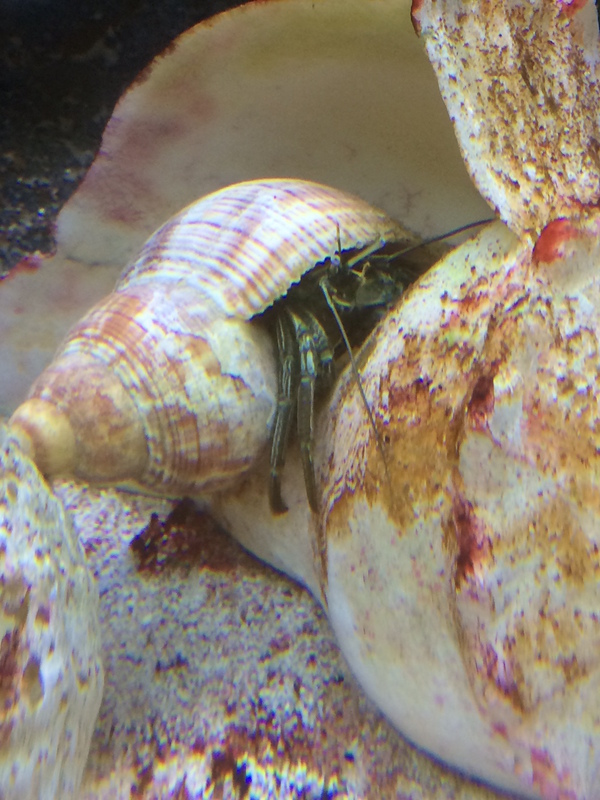 I put other big shells in the tank for when he needs to trade up. I live very close to Key Largo so we head that way quite frequently. 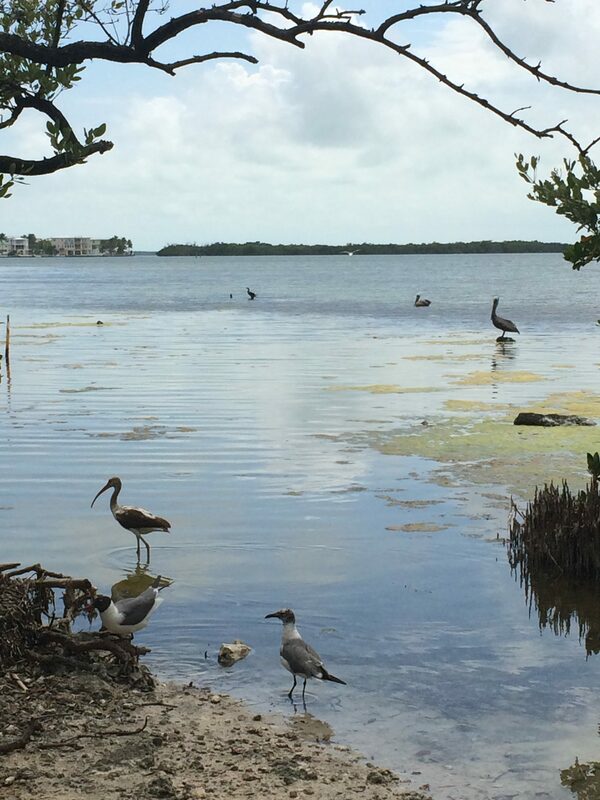 My favorite place to stop and visit is the Florida Keys Wild Bird Center in Tavernier. 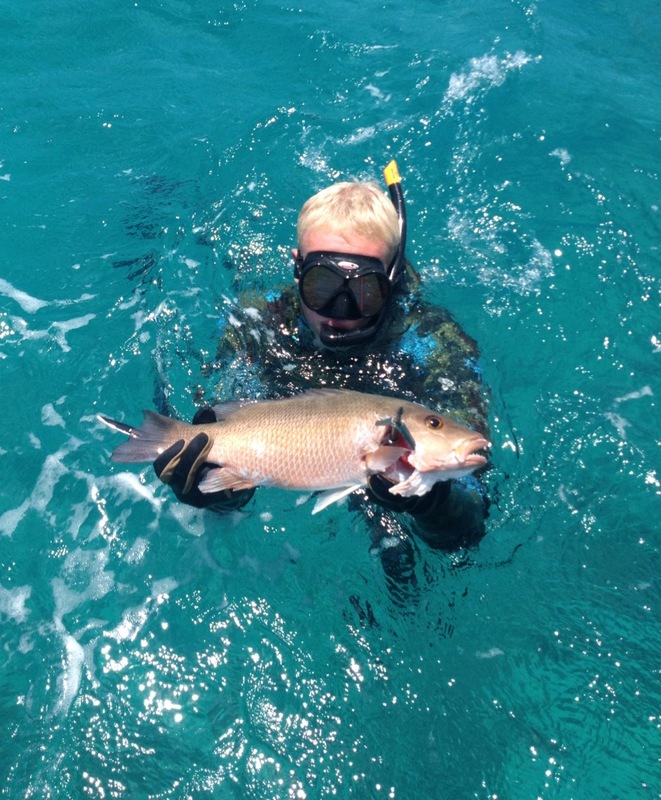 While I wade in the shallow waters at the Bird Center looking for shells, my eldest is usually fishing or spearfishing further south in Islamorada. 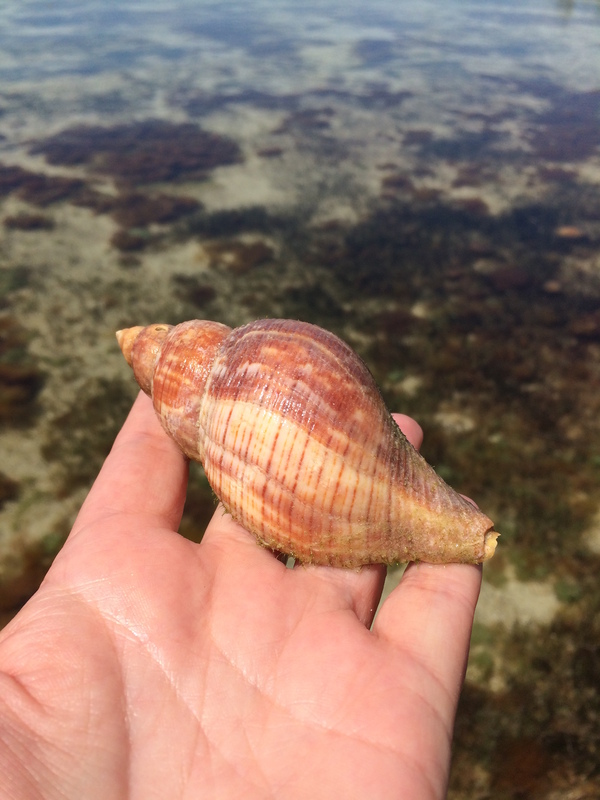 It’s a good trade off, I get to hunt for shells and he usually brings home dinner. Good boy!